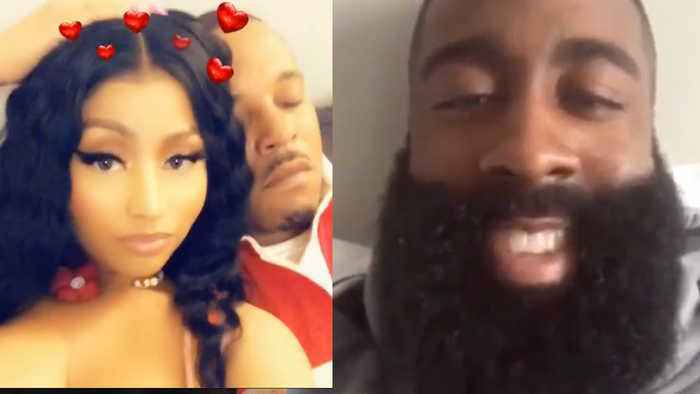 One News Page > News Videos > Khloe Kardashian’s Ex James Harden TEASES NEW Meek Mill Nicki Minaj Diss Track! Khloe Kardashian’s ex James Harden listening to a NOT YET released song from Meek Mill where just about EVERYONE thinks he’s coming for his ex Nicki Minaj and her new man. PLUS…if you were hoping that YouTuber Tana Mongeau was going to make a video explaining her breakup with Bella Thorne…think again because it’s NOT happening. FINALLY…can we please talk about Miranda Sings hilarious rendition of Lady Gaga and Bradley Cooper's hit song Shallow? We’re talking about all the social media DRAMA and YouTube news you need to know right now so stay tuned. Khloe Kardashian Wants To Date An Accountant? 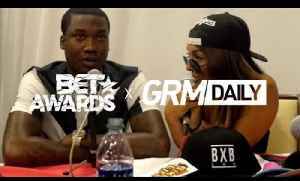 Meek Mill joins Little Donatella at the 2015 BET Awards in LA to discuss his current ban from the UK, Nicki Minaj and more exclusively with GRM Daily. SUBSCRIBE :..
WOW! 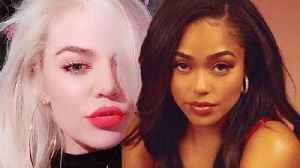 New reports coming out claim that Jordyn Woods hooked up with not only Tristan Thompson but also another Khloe Kardashian Ex James Harden! We have all the scoop for you on an all new Daily Rewind! 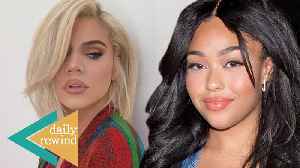 Jordyn Woods Allegedly HOOKED UP With Another One Of Khloe Kardashian’s Ex Boyfriends! While Jordyn Woods is living her worst nightmare Tristan Thompson is continuing on with his life as he was ALREADY spotted out with a new woman in New York City. 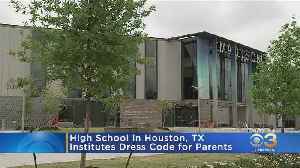 PLUS…it looks like Jordyn’s..